Farpointe Data, based in California USA, have been manufacturing a wide range of 125 KHz readers with an unrivalled reputation for class-leading performance and energy efficiency. Their Pyramid Series Proximity® readers are based upon proven contactless digital radio frequency identification (RFID) technology - assuring compatibility with the widest range of standard electronic access control systems through making use of industry standard interfaces, such as the Wiegand format. Further, their product line offers unique Pyramid-only features such as MAXSecure™ and fleaPower™. And finally, Pyramid Series offers optional HID® or AWID® compatibility. With a compact design the model Delta3 may be mounted to metal door or window frames, and other flat surfaces. 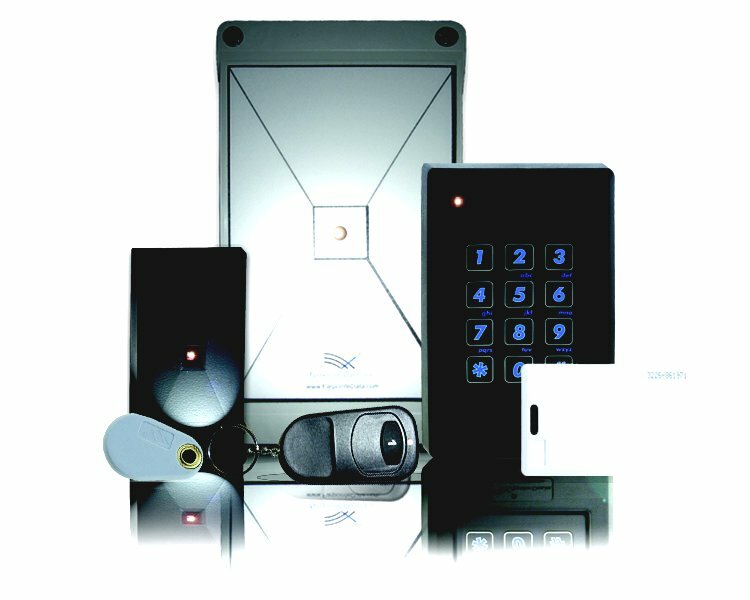 Delta readers are able to read the sector (access control) data and/or card serial number from all ISO 14443 Type A & B compliant credentials including Mifare, DesFire and iCLASS credentials. Delta credentials meet the ISO standard and are programmed by the manufacturer with a Delta compatible secure key. During Delta’s validation process the credential’s secure key is challenged by the reader. If the secure keys match, the reader will read the card’s sector data, if the secure keys don’t match, the reader will only read the credential’s CSN.